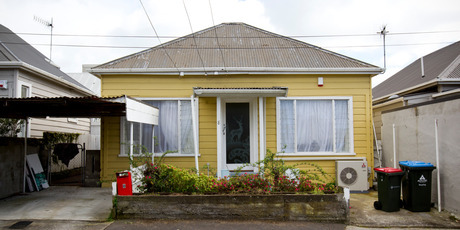 The loss of two more early properties in Grey Lynn and plans to demolish an 1885 wooden cottage in Parnell is prompting a fightback from heritage and community groups this week. Tomorrow a citywide coalition of 22 heritage and residents’ groups will present a “bold plan” to Mayor Len Brown to better protect the city’s built heritage. The coalition has already urged the council to follow the footsteps of another Super City, Brisbane, and publicly notify all applications to demolish old houses in character areas. It will offer Mr Brown the services of its members to speed up the assessment of old buildings and areas in the city. Tomorrow evening, Grey Lynn 2030 is holding a public meeting to discuss the growing trend of old villas being removed to make way for new houses and protecting the suburb’s special character. The community group was spurred into action after a bay villa was moved off its site at 63 Francis St so the owners could build a larger, replica villa with four bedrooms, a swimming pool and basement garaging. It is also upset to see demolition begin on the Bethany Centre, the former Salvation Army home for pregnant women, in Dryden St, Grey Lynn, so five houses can be built on the site. The Dryden St and Francis St sites are just outside the Residential 1 zone, which would have required resource consent and possibly public notification. Last Friday, the council’s hearings committee voted to give affected neighbours a say on the proposed demolition of an 1885 villa at 8 Lee St in Parnell, rather than throw it open to possible objections from the wider community, including the Parnell Heritage watchdog group. Officers had recommended the application to demolish the cottage be approved. But this met with stiff opposition from Waitemata councillor Mike Lee, Waitemata Local Board chairman Shale Chambers and Parnell Heritage. The council’s heritage team reported the house was a poor quality structure that had been significantly modified since 1940.